If I told you that you could slash your risk of stroke in half, would you pay attention? How about if I share some sobering facts first? Like the fact that stroke is one of the leading causes of death in America, and roughly 795,000 Americans suffer from a stroke each year. 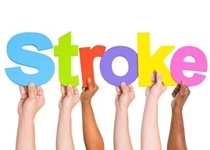 While not all strokes are fatal, many are. So how about now? If you knew about a way to cut your risk of stroke in half—in fact, more than half—would you do it? I certainly would. And according to a study I recently came across, it seems science has found a way. You see, researchers in Sweden have discovered a way to lower your risk of stroke by 54% without having to take any medicine, visit a doctor, or do anything that will take up your valuable time. It might, however, require you to make a few lifestyle adjustments—which, in my opinion, will be well worth it! 1. Eat a Heart-Healthy Diet: Eating foods that promote heart health is a great way to protect yourself from stroke. This means keeping cholesterol levels low to avoid plaque-filled arteries that reduce the pressure on your heart. A diet high in fiber, good cholesterol, lean protein, and vitamins and minerals is the best way to do this. To ensure you’re including all of these, add whole grains, oily fish, olive oil, legumes, fresh fruits, vegetables, and lean cuts of meat to your regular diet. 2. Limit Your Alcohol Consumption: When it comes to alcoholic beverages, consuming three to nine servings per week is a healthy range to aim for. Just be sure to spread them out over the course of the week, rather than downing them all in a day or two. 3. Quit Smoking (or Don’t Start): It’s pretty much common sense at this point, but I believe it’s always worth repeating—even if you’re an occasional smoker, you’re increasing your risk of stroke every time you light up, so quit. For those who don’t smoke, you’re making the right decision for your health. 4. Get Active: Getting moderate activity for at least 40 minutes every day can significantly reduce your risk of stroke. This level of activity pumps blood through your veins, puts the heart to work, and can even result in weight loss—all great outcomes for proactively minimizing your risk of stroke. 5. Keep a Healthy BMI: Keeping your body mass index (BMI) in the 25 range can also reduce your stroke risk. In other words, keep your body fat percentage in a healthy range. This is attainable by eating a heart-healthy diet and getting active. By following this plan, you’re covering three bases when it comes to natural stroke prevention. Adopting all five lifestyle components can reduce your risk of stroke most significantly, but if you find yourself struggling to make all of these changes all at once without relapsing to your old ways, then conquer one at a time. Each one has the potential to reduce your risk of stroke, so any additional factor you adopt reduces the risk even more. If you’re serious about improving your health and reducing your risk of stroke and other life-threatening diseases, following these five simple tips can pay real, measurable dividends when it comes to your long-term health. Larsson, C., “Healthy diet and lifestyle and risk of stroke in a prospective cohort of women,” Neurology October 8, 2014, doi: 10.1212/WNL.0000000000000954. Doyle, K., “Healthy lifestyle may halve stroke risk for women: study,” Reuters web site, October 9, 2014; http://in.reuters.com/article/2014/10/08/us-health-stroke-women-lifestyle-idINKCN0HX2BC20141008.